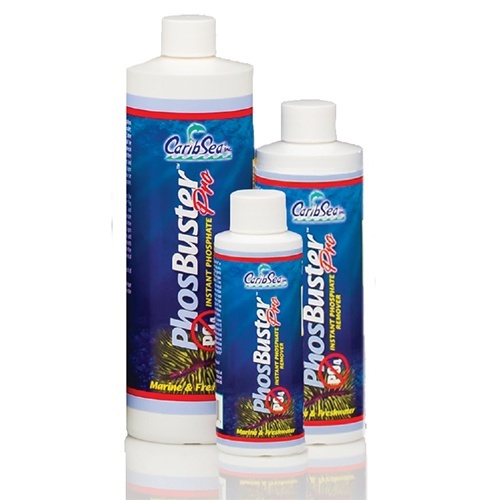 CaribSea PhosBuster Pro, 8 oz. Remove dissolved phosphates in minutes, not days. 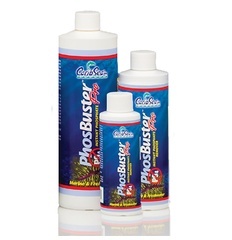 PhosBuster™ Pro - has a unique patent pending formula that removes dissolved phosphates in minutes instead of days. Safe for all reef tanks, saltwater, and freshwater aquariums of all sorts. Each 8 oz. bottle removes at least 1.5 ppm in up to 250 gallons of water! No more fiddling with filter bags or special reactors; just dose it and forget about your phosphate problem. PhosBuster™ Pro may be used regularly as part of a preventative maintenance program.